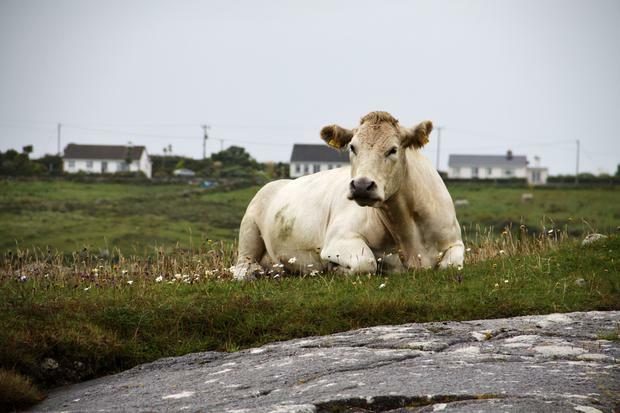 IFA President Joe Healy warned that suckler farming is now on a cliff edge, due to EU agricultural policy which is asking farmers to produce beef at low prices while reducing direct payments and insisting on ever higher standards. It comes as Teagasc figures from Newford herd in Athenry revealed this week at their open day, show that even the most efficient suckler farming model is not profitable. The 100-cow suckler to-beef demonstration herd established by a number of industry stakeholders commenced operations in Newford, Athenry, Co Galway, in 2015 on 55.8ha of land previously farmed by Teagasc. The 2017 Teagasc eProfit monitor analysis shows the farm generated a gross margin of €674/ha, fell significantly below the target gross margin for 2017 of about €1,000/ha with higher variable costs have also hampered the farm’s financial performance. Net margin/ha in 2017 came in at €-49. Farm Manager Matthew Murphy noted that costs will remain a challenge in 2018, given the delayed turnout of stock this spring and higher drought related costs. Speaking at the ASA Conference today during a discussion on The Challenges in the Global Marketplace for Beef, Joe Healy said the move of CAP policy away from price supports towards direct payments has made beef farming extraordinarily challenging at current prices. “At the same time, the EU Commission is reneging on its side of the bargain by proposing further cuts of €100m per annum on Irish farmers as part of CAP reform proposals. “To compound this, the Commission is hellbent on concluding a Mercosur trade deal with South America, which would allow more beef imports into the EU despite these countries having lower production standards and their beef production having a negative climate impact,” he said. Joe Healy said two significant political decisions will be made in the next month. “The new CAP must reflect the realities being faced by farmers on the ground. We need an increase in payments at least in line with inflation, not a €100m cut as currently proposed,” he said.